What better way to boost morale and say thank you for a job well done than throwing an amazing party? Want to do a little team building by teaching all of your employees the newest dance craze? Cheer them on as they karaoke the night away or go head-to-head in a virtual video-game battle. Perhaps they just want relax with some soft background music or go crazy on the dance floor. Whatever the case, we have the right entertainment option for you! 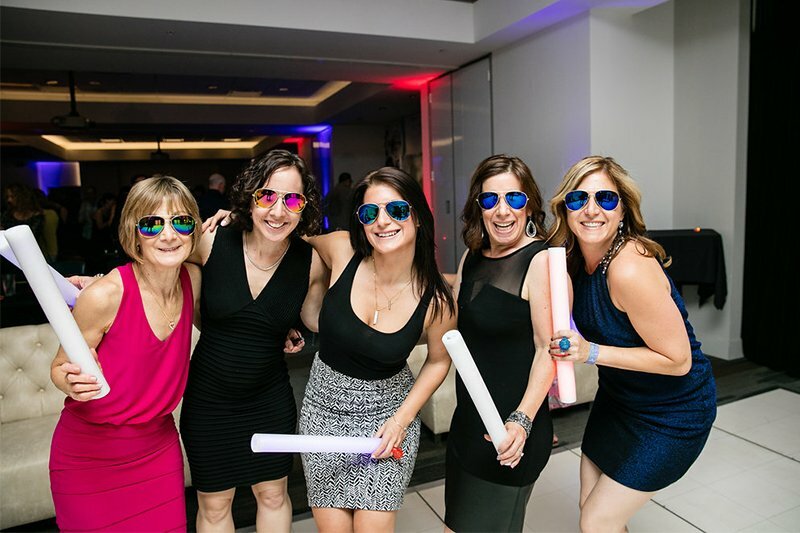 Add some pizzazz to your party experience by including a photo booth or Open-Air Photo Station with instant Facebook uploads (great for corporate branding)! What about an incredible light show? Get In The Groove Entertainment is your one-stop-shop for Los Angeles corporate and holiday parties.